connected to the internet. These instructions refer to logging on over a local WiFi network. 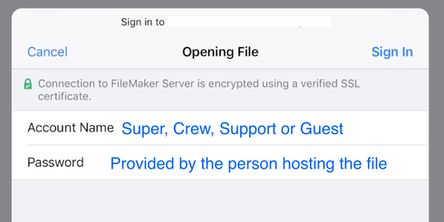 Download the Free FileMaker GO 16 or 17 app on you iPad. The filename of the project (must be a v4 project). The account name you should use to log on. Make sure your iPad's WiFi is turned on. Tap the Host Tab at the bottom then tap Hosts top left. 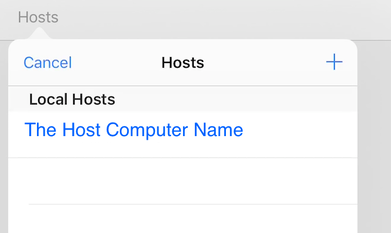 A dialog with a list of local network host will open. Tap the host to select it. A dialog with a list of files available will open. Tap the file you want to log on to. The login dialog will open. Enter the account and password you were supplied and Sign In. 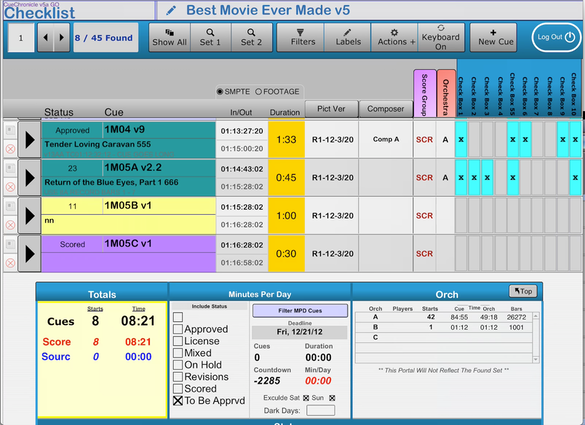 The CueChronicle Project will open showing the Checklist layout. This could take a moment depending on the size of the file.